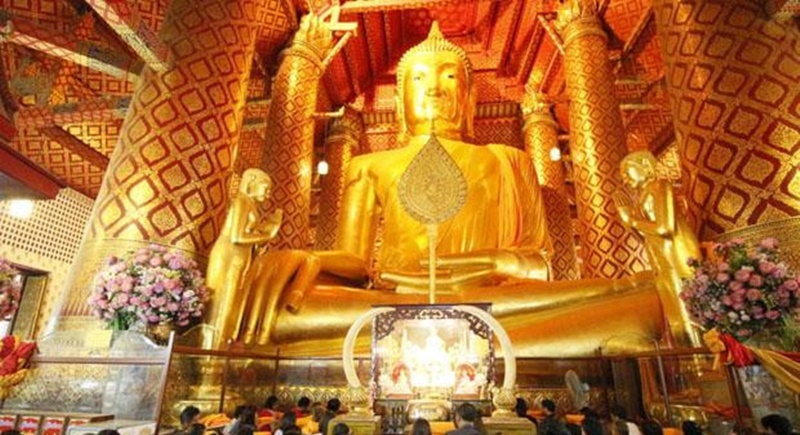 BANGKOK: The National Anti-Corruption Commission (NACC) has found that two former heads of the National Office of Buddhism (NOB), its deputy chief and an alleged accomplice embezzled most of two budget funds allocated to Wat Phanan Choeng Worawihan in Ayutthaya province. Deputy secretary general Worawit Sukboon said yesterday (Dec 19) that the anti-graft panel found clear evidence against Noparat Benchawatananant and Phanom Sornsilp, both former NOB directors-generals, Pranom Kongpikul, deputy NOB director-general, and Chompoonuch Janruechai. According to Mr Worawit, in 2014 Pranom, who was then director of NOB’s Buddhist Monastery Division, contacted the management of the temple in Ayutthaya with the offer of a B10 million fund for the temple on the condition that it returned B8mn for other activities said to be ineligible for funding. Later, Noparat approved the funding proposal without a request from the temple. After the temple received the B10mn it transferred B8mn to an account of Chompoonuch, who was close to Noparat, for her personal use. In 2015, Pranom proposed another B10mn fund to Wat Phanan Choeng Worawihan and demanded B5mn be returned. After Phanom, then acting NOB director-general, approved the funding, the temple management withdrew B5mn in cash and handed it to Pranom. Mr Worawit said Noparat, Phanom and Pranom would face criminal and disciplinary action and Chompoonuch, who was not a government official, would be charged with supporting government officials’ misconduct. He also said the Counter Corruption Division reported 97 cases of temple funds embezzlement to the NACC. The NACC’s investigation was underway. Unfortunately in Thailand are STATE and RELIGY not separated. It is '2 hands on 1 belli'. Influential people will act. A warning will do + perhaps a fine of 1000 thb, later reduced to 500thb, for the promise not to do it again.